So, times are tough. The economy is still recovering, and despite the tumultuous financial climate globally as well as locally, the silver lining is that people are being more creative about business. In a time when jobs are scarce, many start their own. 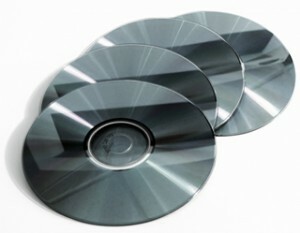 One tangible way to earn money from a small business you own and operate is to start a CD duplication business. Though it may seem like a very specific, esoteric path, that actually will lend to its strength. How many CD duplication businesses do you know of in your town? CD duplication often occurs at the high business level, in corporate offices, in music studios and in already established professional settings. Starting a small CD duplication business could be just the thing your community needs. Because CD duplication requires certain machinery and technical knowledge, not every small business or artist will own the proper equipment or have the means to purchase it themselves. Knowing that you have a market to provide a unique service can ensure a journey toward success. When you think of who may need a large quantity of personalized CDs, the first demographic that comes to mind is musical artists and bands, especially bands that have just started and don’t yet have a record label. In today’s music landscape, self-producing is ever more common and necessary. A band may take on the full responsibility of creating and marketing themselves. In this case, this is your primary audience. A start up band will need to create many CDs to sell to their fans, and this is where you come in. Being able to produce, as well as help organize packaging, can be profitable with local musicians. Your other target demographic will be small businesses who want to create employee-training materials or back up data to disc, but who can’t justify purchasing their own duplication equipment. It’s easy. Creating a business plan and identifying your demographic, your start up capital and your expected returns will be the first step. Then, invest in CD duplication equipment. Learn how to use it. And finally, market yourself to the public. This can include posting ads on Craigslist, on social media sites and blogs. You may wish to make a website for your business. Set reasonable yet lucrative prices, and gather a team (possibly) to help churn out product. This may be a part time side job or, if successful, it could turn into a full-time business. Talk to people before, and during, your start up process. Gauge interest in your local music and small business community. Be friendly and helpful. Stay organized and on task. Most of all, market yourself as much as possible, because if your customers can’t find you, they can’t buy from you.